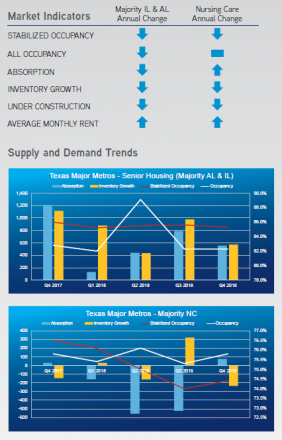 Seniors housing continues to emerge as a mainstream commercial real estate sector, as new investors, developers and operators enter this market. What is driving this interest? According to the last "Emerging Trends in Real Estate" report by PricewaterhouseCoopers (PwC) and the Urban Land Institute (ULI) Seniors housing is ranked second among all types of commercial/multifamily investments with fulfillment taking first place. Seniors housing is considered to be the best investment among residential asset classes. Q1 2018 NCREIF data show that private equity returns for seniors housing properties exceeded all primary property type on a 10-year basis on both appreciation and income return performance.